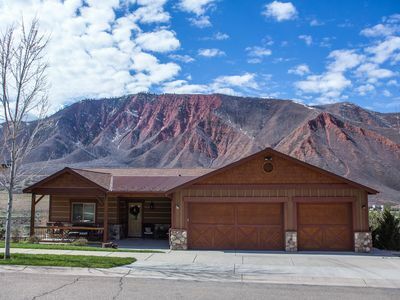 Gorgeous 5BR Glenwood Springs Home w/ Acreage! Glenwood Springs is an outdoor enthusiast’s haven! 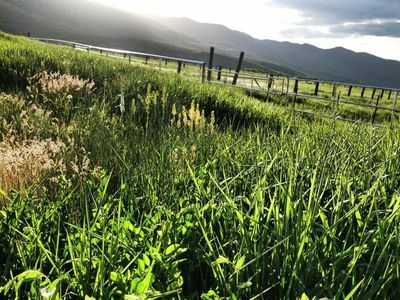 Boasting an abundance of exciting activities and opportunities for adventure, it's very clear why this spectacular Colorado destination was named ‘The Most Fun Town in America’ by Rand McNally and USA Today. Geological wonders, including hot springs, caves, lakes and canyons, provide the perfect backdrop for your next mountain getaway! 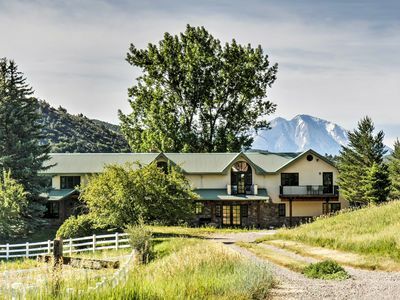 Experience the best of Glenwood Springs by staying at this pristine 5-bedroom, 3.5-bathroom vacation rental home, nestled on 2.5 private acres in the beautiful Rocky Mountains with an amazing view of Mt. Sopris. 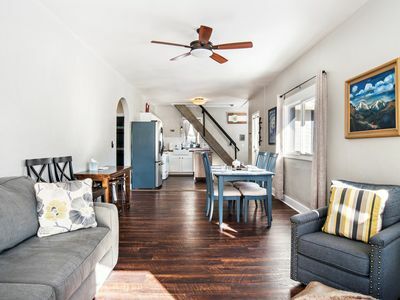 Invite your entire family and even a few friends to come along for the trip, as this spacious 5,800-square foot residence can comfortably accommodate 6 to 12 guests! 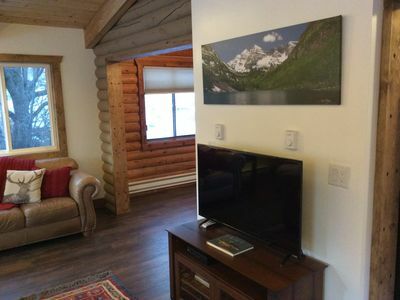 This fabulous mountain retreat comes beautifully furnished with warm colors and all the necessary modern amenities to provide you with ultimate relaxation and rejuvenation after a memorable day exploring the area. 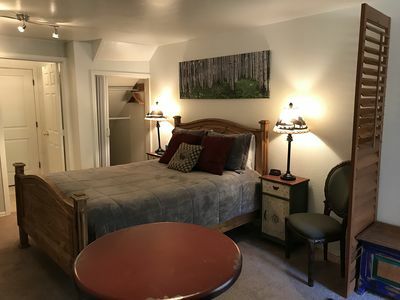 Everything you need to feel as comfortable as possible during your stay is here, including wireless internet access, 3 TVs with Dish satellite cable for your entertainment, an in-unit washer and dryer, plush oversized bath towels, beach towels for the hot springs and hot tub, and complimentary toiletries for your convenience. 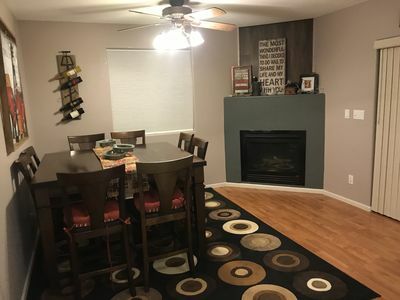 You and your family will love preparing delicious home-cooked meals in the fully stocked kitchen, equipped with stainless steel appliances and beautiful granite countertops. 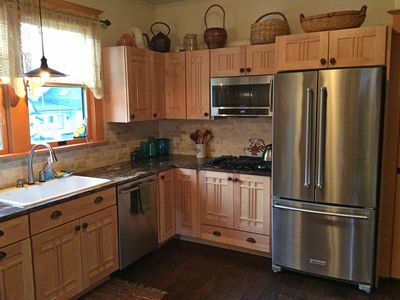 If you're traveling with a big group, a wet bar upstairs offers even more space to whip up all the food that you need! Gather around the elegant dining room table with seating for 10 as you enjoy your dinner and visit with your travel companions. 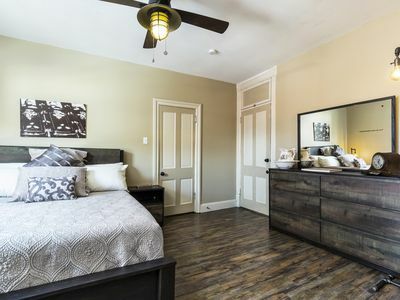 Each of the home's 5 bedrooms will serve as a wonderful escape to rest up for the next action-packed day. 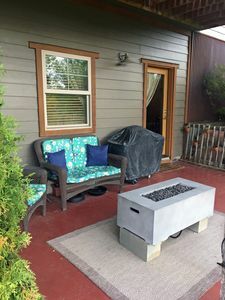 On those cold winter nights, curl up by either the wood burning or gas fireplace with a hot cup of cocoa, or soak in the home's enclosed private hot tub as you admire the snow blanketed landscape outside. You certainly won’t have a shortage of incredible scenery at this house! Situated in a picturesque valley, you can gaze endlessly at the panoramic views of Mt. Sopris and surrounding vistas. 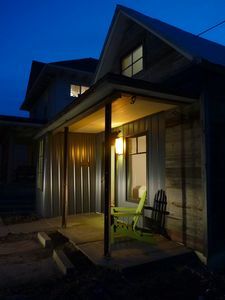 Even though this property is set back from all the action, it's conveniently only 5 minutes away from town, where you'll find numerous eclectic boutiques and excellent restaurants. Some local favorites include Juicy Lucy’s Steakhouse, River’s Restaurant, Glenwood Canyon Brewery, The Riviera Restaurant, and The Pullman. Just 10 minutes away from the property is Sunlight Ski Resort, where you'll find adventure at 7,900 feet elevation! In the winter, enjoy world-class downhill skiing, snowboarding, snowshoeing, and cross country skiing. If your kids are new to the slopes, the resort offers exceptional lesson packages for a great value. During the summer months, tour the area on horseback or mountain bike. To access unparalleled sights and wildlife, hike through the Glenwood Canyon and Rio Grande Trails. Make sure you add Hanging Lake to your trip’s to-do list! A marvel of Mother Nature, this trail features a mesmerizing turquoise lake, waterfall, and breathtaking scenery. 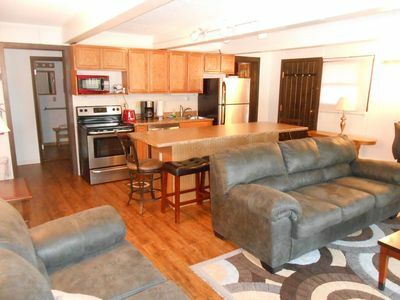 Fishermen will be delighted at the renowned fishing in Royal Fork and Crystal Rivers. For those adrenaline seekers in your group, you'll find numerous nearby opportunities for some thrilling rock climbing, whitewater rafting, ATV riding, or paragliding. If you're in the mood for a thoroughly relaxing experience, look no further than Glenwood Hot Springs Pool, the world’s largest mineral hot springs pool, located just minutes from this home and complete with a 102-degree therapy pool, water slides, lounge chairs, and a poolside restaurant. 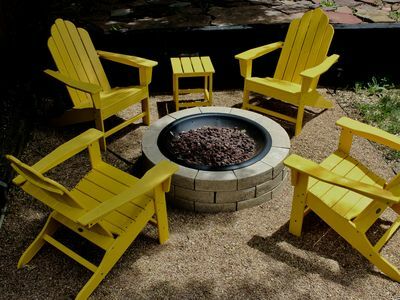 This ideal destination truly offers fun for the whole family! The kids will love taking a day trip to Glenwood Adventure Park and Tram, followed by a dinner show at Glenwood Vaudeville Revue. 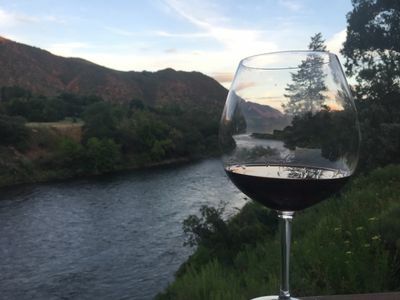 Aspen, Snowmass, Carbondale, and Redstone are not too far away either, should you find yourself wanting to venture outside of Glenwood Springs. In the fall, be sure to visit the Maroon Bells in Aspen to witness the stunning Aspen trees changing colors. 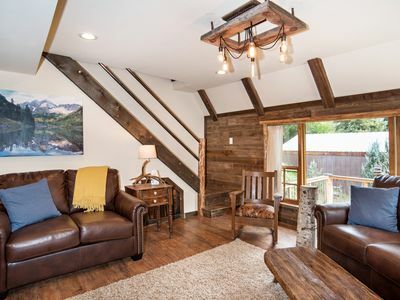 However you choose to spend your time during your stay, this sensational Glenwood Springs vacation rental house will quickly become a place you love coming home to at the end of the day! 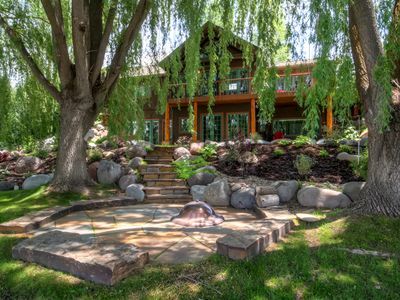 - Incredible location on 2.5 private acres with an amazing view of Mt. Sopris! Welcome to our Farm. Enjoy world class skiing, hiking and biking within minutes. 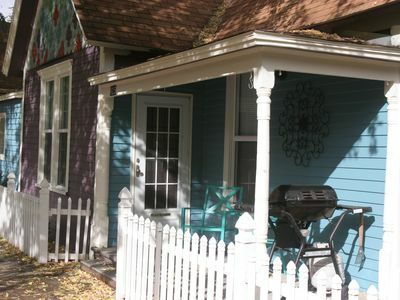 Be in the middle of it all in the cutest downtown Victorian *with AC! 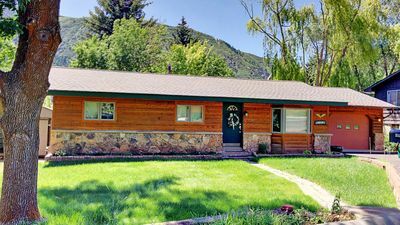 Paradise On The Roaring Fork River, Walking distance to everything in Glenwood! Great Location! 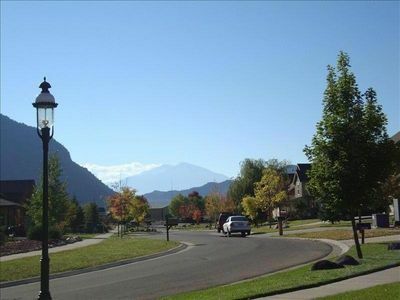 Right in the heart of downtown Glenwood Springs!Walk everywhere! 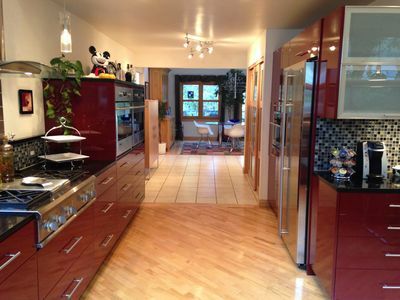 CONTEMPORARY HOME NESTLED AGAINST RED MOUNTAIN, NEAR TOWN AND HOT SPRINGS POOL! 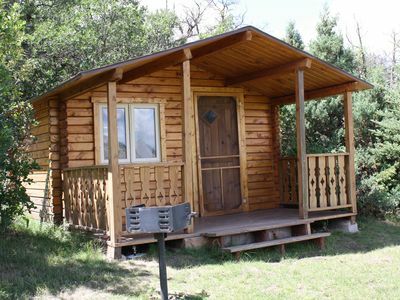 Cozy Creekside Cabin, a short drive to Glenwood Springs and Pools!